We have a long history of helping students who haven’t found success, for a wide variety of reasons, in traditional academic environments. At Rock Point School, students find teachers who appreciate them for who they are and nurture their capacity for discovery and challenge. When students leave Rock Point School, they are more competent and confident learners. The majority of our graduates go on to higher education. Our students have been accepted to a wide variety of colleges, from more competitive schools, such as NYU, to supportive colleges such as Dean. With 4-10 students in a class, no student can hide in the back row. Classes are discussion-based and teachers create an environment where peers support one another to make meaningful contributions that move the learning forward. Teachers work with students as individuals, help them discover and pursue their interests, and challenge them at their growth edge. Students learn to think critically about the world they live in and are taught explicit skills around reading, writing, mathematics, and executive functioning. 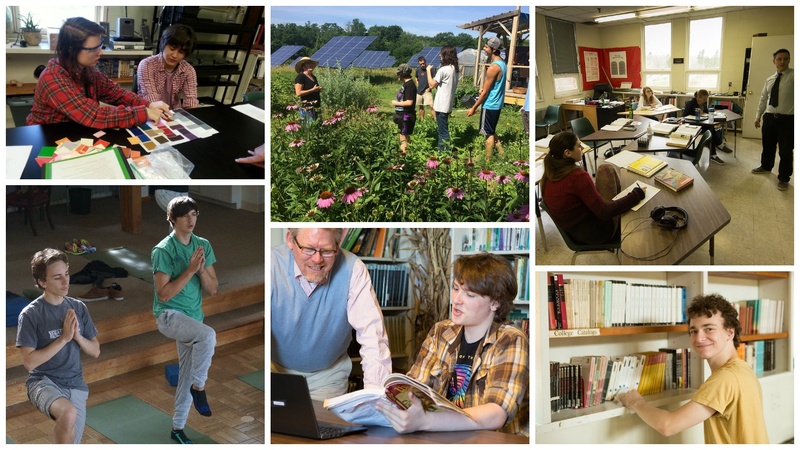 Our classrooms expand to include our 115-acre property, the vibrant city of Burlington, and Vermont in general. We are located in such a rich environment for place-based education. We use our forest as an additional science lab, attend theater performances, visit art galleries and historical locations around the state, and attend local government meetings to enhance what we do in the classroom. We take advantage of the many nearby colleges to attend symposiums, tech fairs, and readings or performances. We also help motivated students pursue an internship, job, or volunteer opportunity to help them meet their own learning or career goals. Here is a video highlighting a favorite part of our place-based curriculum, the maple sugaring program. As part of this program, students learn the history and science of sugaring, and they give educational tours to younger children. You can see a more detailed description of curriculum offerings by subject by clicking on the links to the left.